Most cars. Upon request. Not valid with any other offers or coupons. With coupon only. Coupon void if altered. Expires 05/06/2019. Not valid with other offers or coupons. 0VP001 With Valpak® coupon only. Coupon void if altered. Expires 05/06/2019. *If inspection reveals the need for brakes. Not valid with other offers or coupons. Valid with coupon only. 0VP001 Coupon void if altered. Expires 05/06/2019. When you’re looking for an auto service center with expert mechanics, visit Hogan & Sons Tire and Auto in Fairfax, VA. We offer oil change coupons as well as deals on brake service and maintenance. Forget the expensive dealerships where you become just another number. We’re a full-service, family-owned auto shop serving drivers in Northern Virginia, and we'll treat you as our friend. 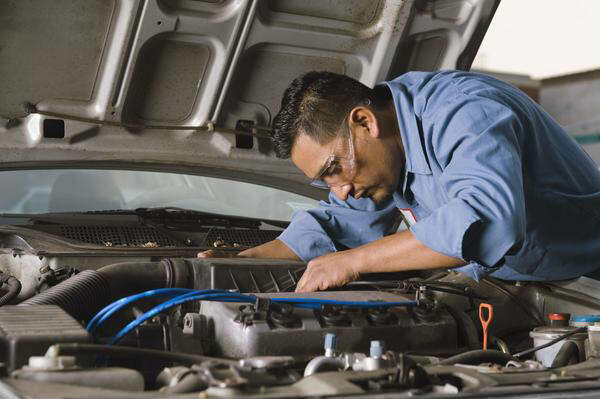 We’re known for friendly customer service and top-notch quality auto repair. We're proud to be accredited by the Better Business Bureau with a B+ rating and our ASE-certified mechanics offer skilled, reliable car care, including tire service, transmission fluid exchange, car AC repair and tire sales from brands including Michelin and Goodyear. Stop by Hogan & Sons Tire and Auto in Fairfax to stay on top of your car and truck maintenance schedule and save with our auto repair and oil change coupons. Hogan & Sons has multiple locations across Northern Virginia, including our Fairfax shop. We're easily reached from the nearby towns of Centreville, Annandale, Burke and Vienna, VA. Also find us in Falls Church, Herndon, Leesburg, Purcellville, South Riding, Sterling and Winchester.